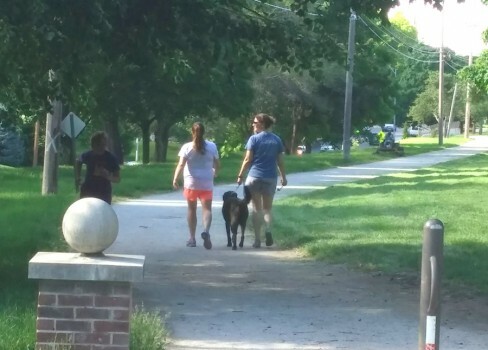 The Harry Wiggins Trolley Track Trail: This popular path for walkers, runners and cyclists is located in south Kansas City. Cutting through the Brookside and Waldo neighborhoods, the trail was the site of Kansas City’s last streetcar line. It’s six miles long, running from Volker Boulevard to 85th Street and Prospect Avenue. A large part of the trail surface is made of compacted, crushed limestone. A few areas are paved. Additionally, we have put asphalt on a small portion of the trail just south of Waldo to 77th St., for several hundred feet.